Product #366 | SKU M-Two | 0.0 (no ratings yet) Thanks for your rating! 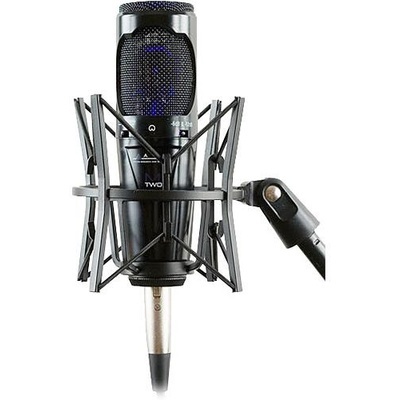 The M-Two Cardioid FET Condenser Microphone from ART is designed for vocal and instrument capturing in project studios. The M-Two features an FET output stage for quiet signal reproduction with maximum gain. A two-position Pad switch offers -6 dB and -12 dB settings for maximising headroom and lowering distortion and noise. A two-position low cut roll-off switch minimises hum, wind, and low frequency noise. The capsule features a cardioid pick up pattern that minimises off-axis noise and feedback, and the wide frequency response results in transparent audio reproduction. The M-Two requires 48V of phantom power and includes a shockmount and aluminium carrying case.